Members of the Special Operations Command Europe community gathered in the Patch Chapel to remember a Soldier who died last month. Staff Sgt. Wilfredo Egipciaco Jr., 40, passed away Feb. 1 in Vaihingen. The native of Paterson, N.J., was driving to work after physical training, said he felt ill and asked his companion to drive. After getting out of the car, he collapsed and later died, according to Army Lt. Col. Holly Silkman, SOCEUR public affairs officer. Egipciaco was assigned to the 112th Signal Battalion (Airborne) SOCEUR Signal Detachment. He was a single radio operator and maintainer, having reclassified in 2008 after 13 years as an infantryman. 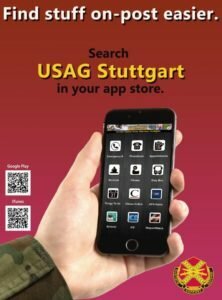 A paratrooper with deployments to both Iraq and Afghanistan under his belt, Egipciaco had been assigned to Stuttgart for three years. The Patch Chapel, its stained glass windows reflecting the vibrant blue background of Egipciaco’s portrait near the altar, was filled with friends and colleagues gathered to share in his memory. Songy said he was an outstanding technician, an expert trainer and thrived under pressure.“But perhaps his most important trait as a Soldier, and the one that had the greatest impact on the detachment, were his skills as a leader.” Egipciaco lived up to every ideal expressed in the noncommissioned officer creed, Songy said. Sgt. 1st Class Donnie Gill, the detachment platoon sergeant, was visibly emotional as he delivered the eulogy, pausing long between sentences to compose himself. “He could manage and motivate Soldiers like no other in the detachment. Will had a way with Soldiers that was sometimes like a father, a brother, a friend, and if need be, a warden,” Gill said. Fellow Soldier and team sergeant, Staff Sgt. Joseph Gibbs, knew “E” for three years. They met at Fort Gordon, Ga., where Gibbs was an instructor and Egipciaco was reclassifying. “He was definitely an outstanding NCO. He always put his team first before himself, Gibbs said a few days after the memorial service. Gill described Egipciaco as dedicated to the military and each unit he was assigned to … a Soldier’s Soldier. “He was doing what he loved to do,” Gibbs said. On a personal note, “He was a great dude to have around — a great listener,” he added. The service included the paratrooper’s prayer, a bagpipe rendition of “Amazing Grace,” the firing of volleys and a lone bugler playing taps. Egipciaco is survived by sons Kephrin Egipciaco, 17, of Pompton Lakes, N.J., Kalum Egipciaco, 12, of West Freeport, Fla., and daughter Estelle Mary Jones, 6, of Oceanside, Calif. He was buried Feb. 13 in Wrightstown, N.J.